News — New additions at Schuh! Fusing high-fashion elements with classic silhouettes and tomorrow’s tech, the Arkyn lands from adidas. The eclectic silhouette boasts a slim, stretchy fabric upper with a neoprene heel, TPU accents and full foot lacing for a sporty appeal. 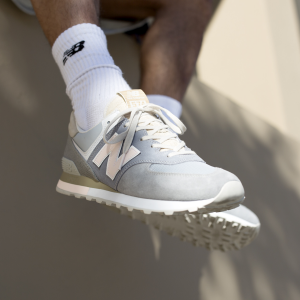 Get your cool and comfy 574 update from New Balance available now here.